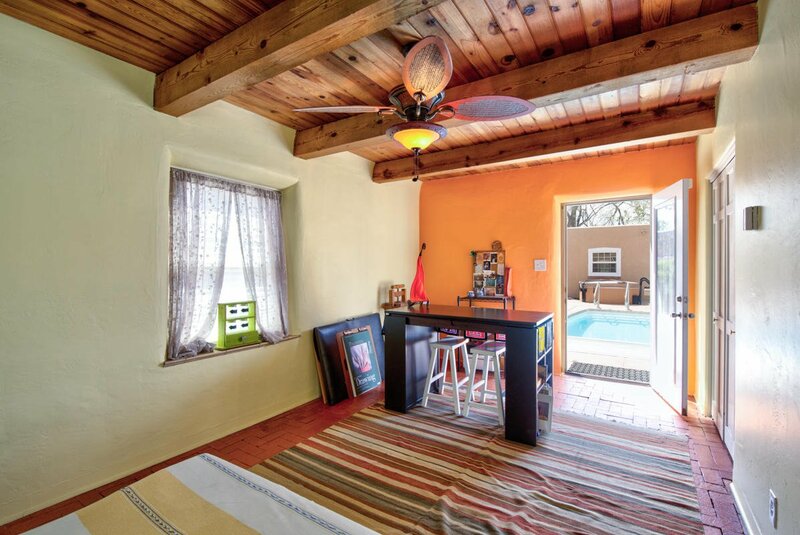 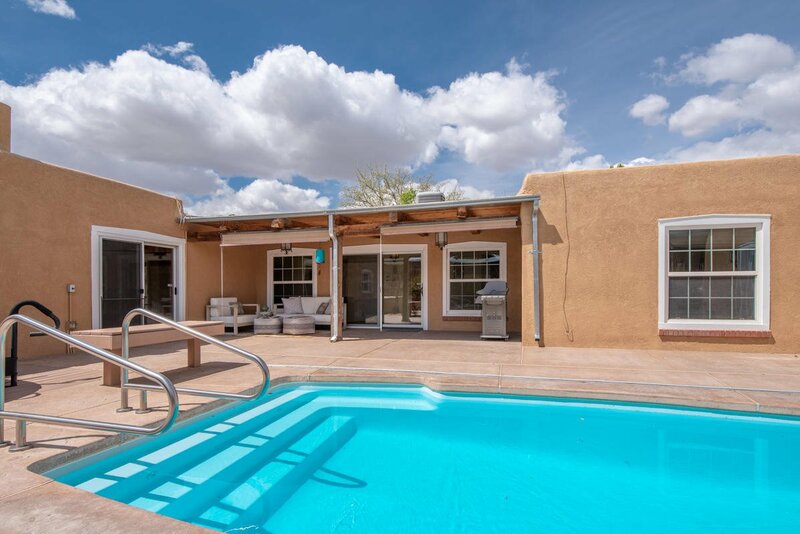 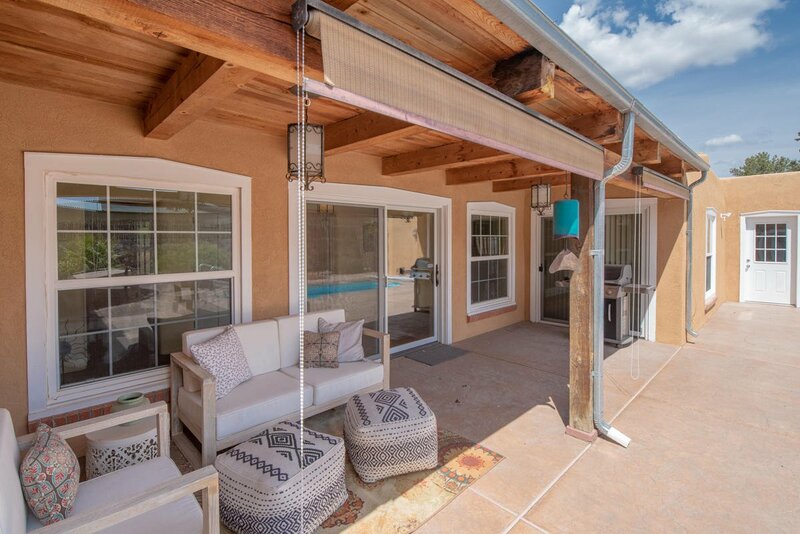 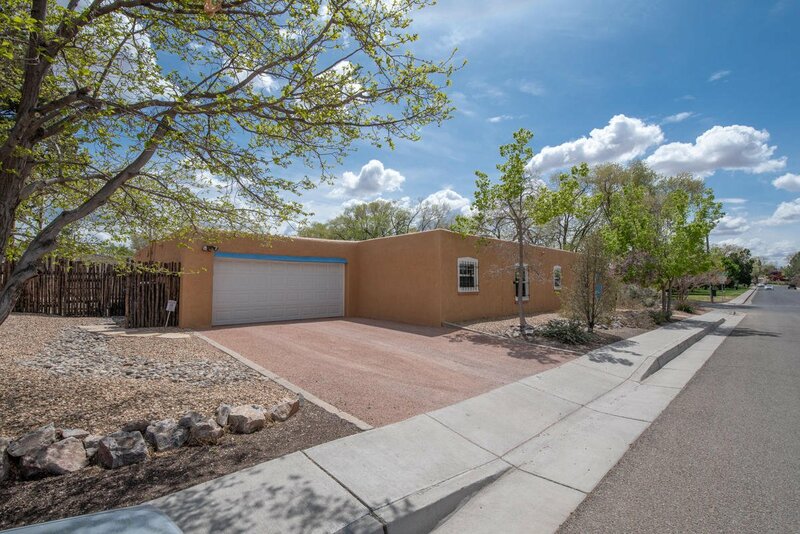 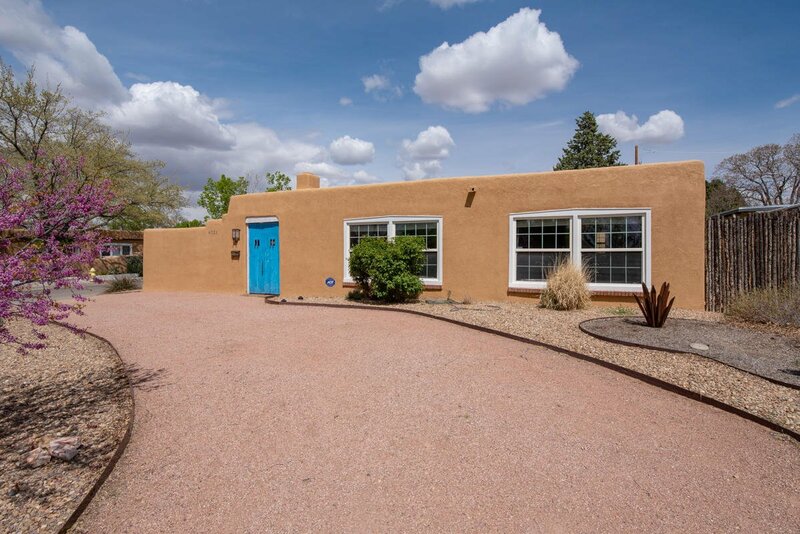 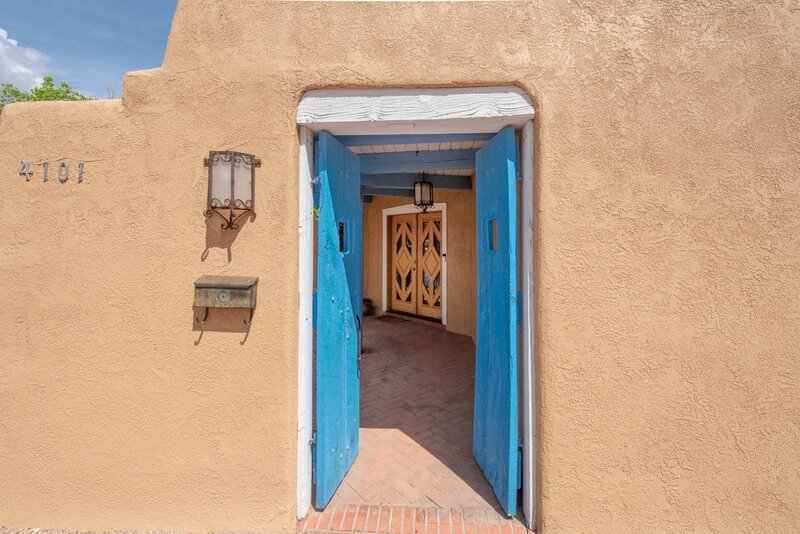 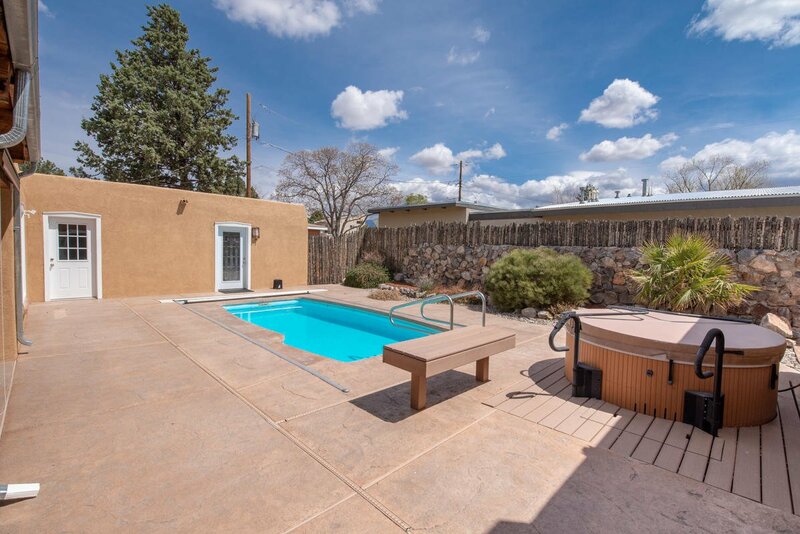 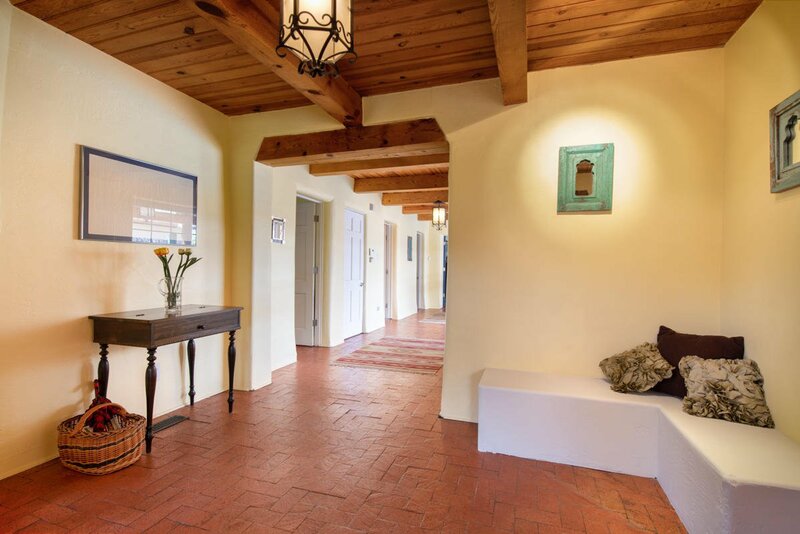 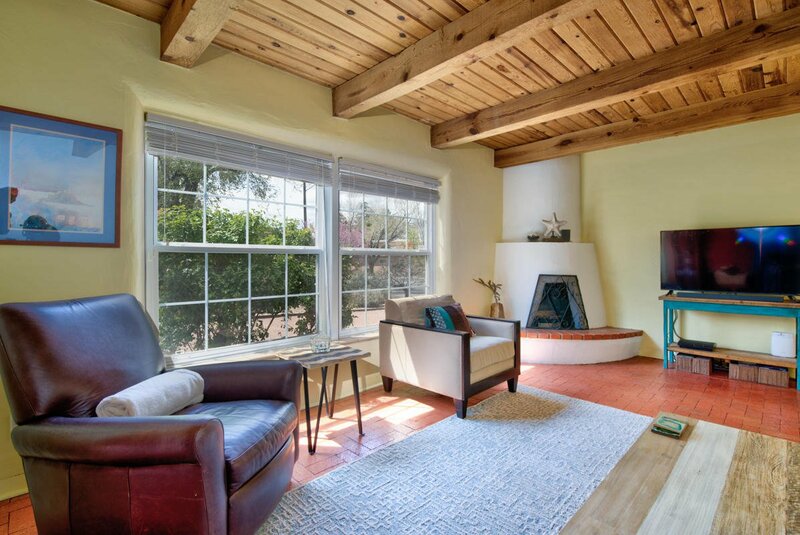 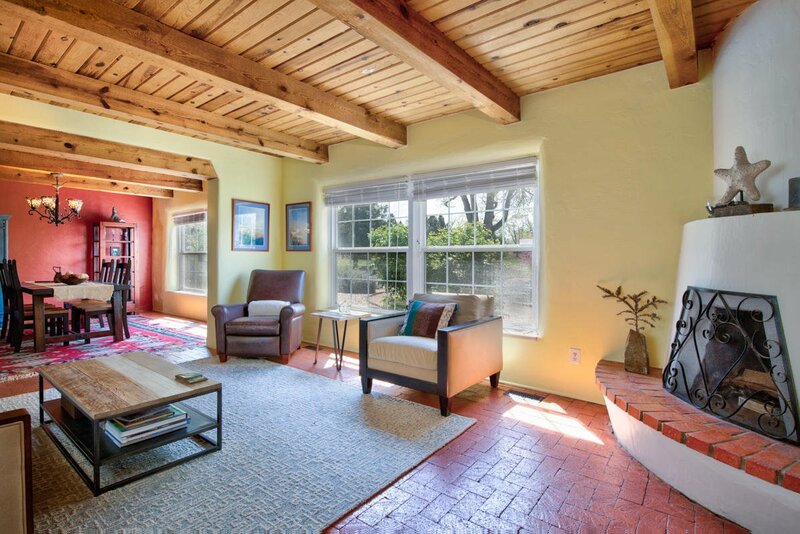 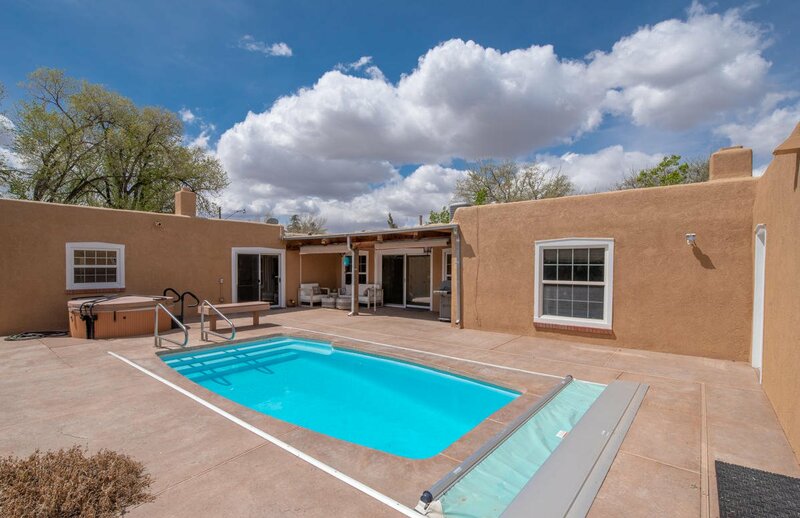 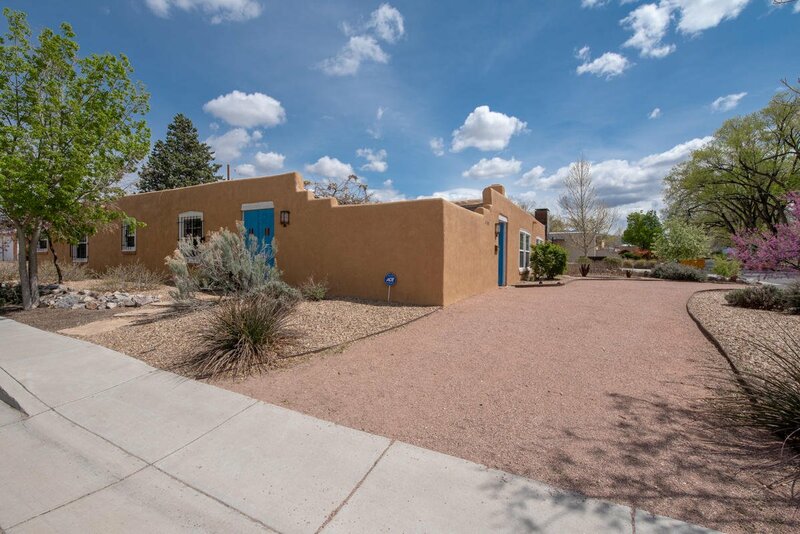 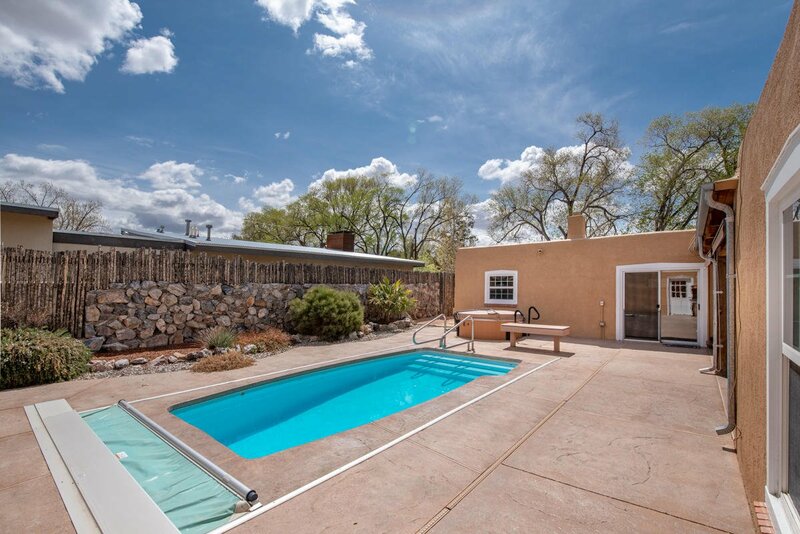 Beautiful, authentic adobe home on Altura Park! 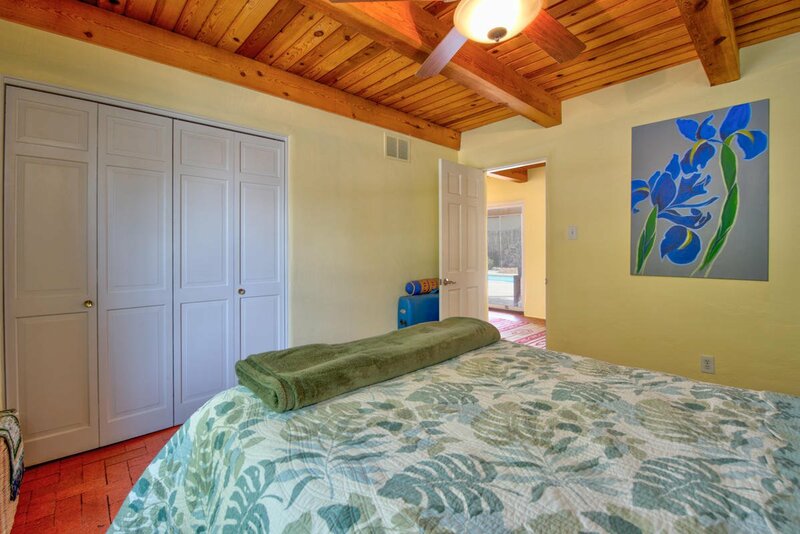 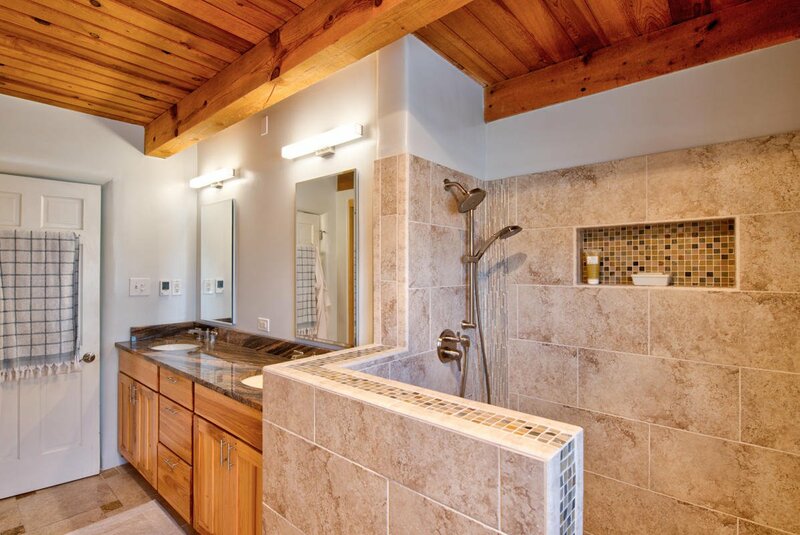 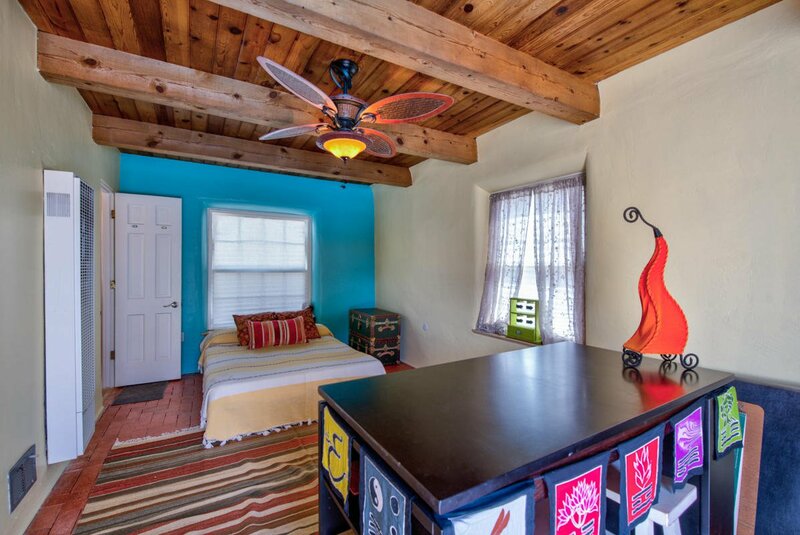 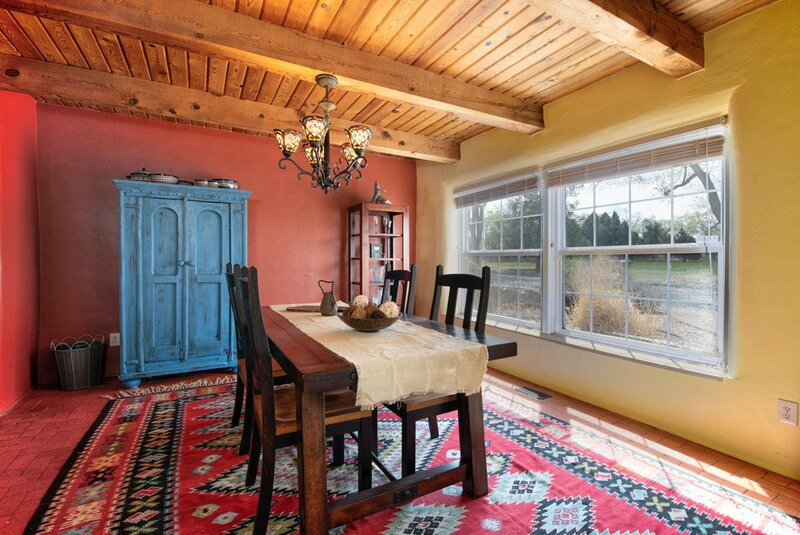 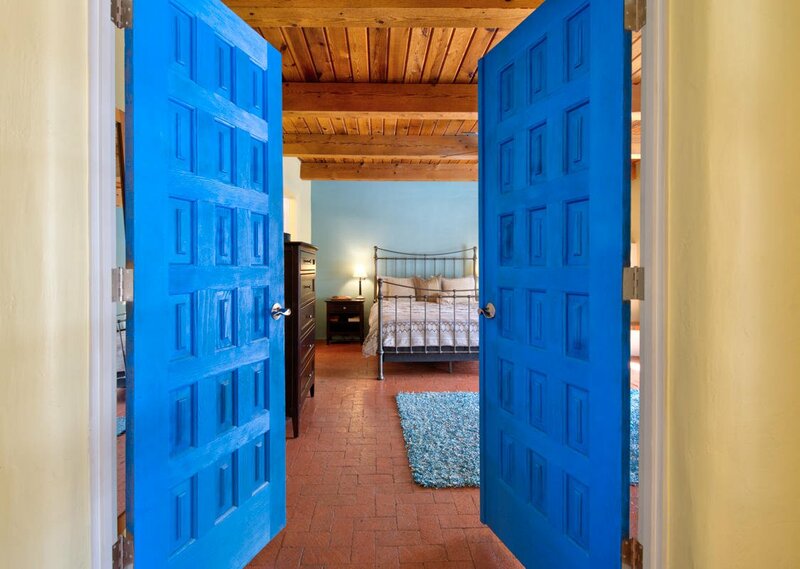 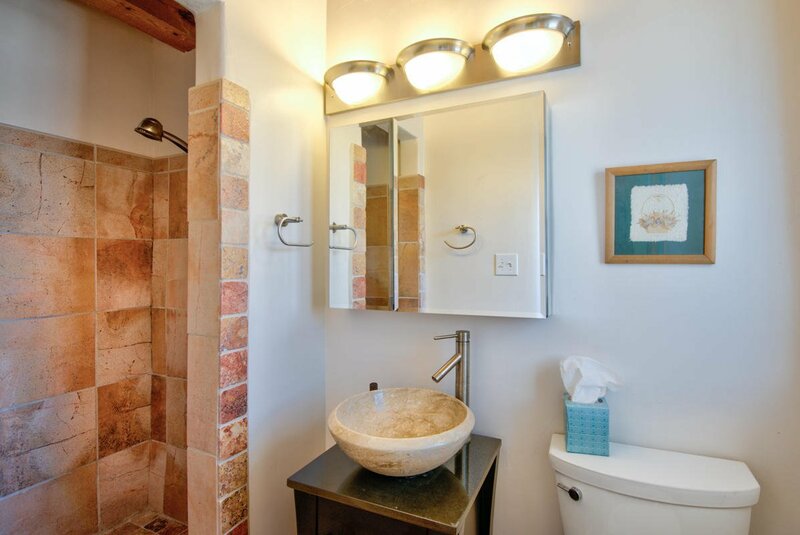 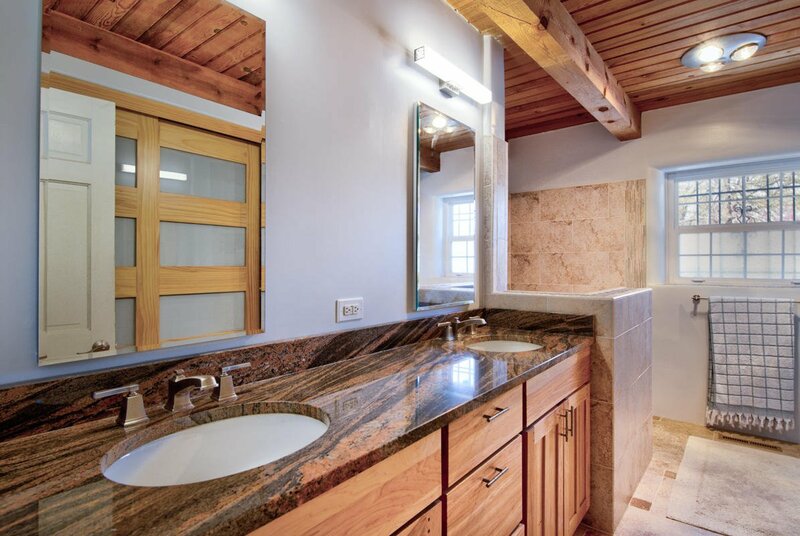 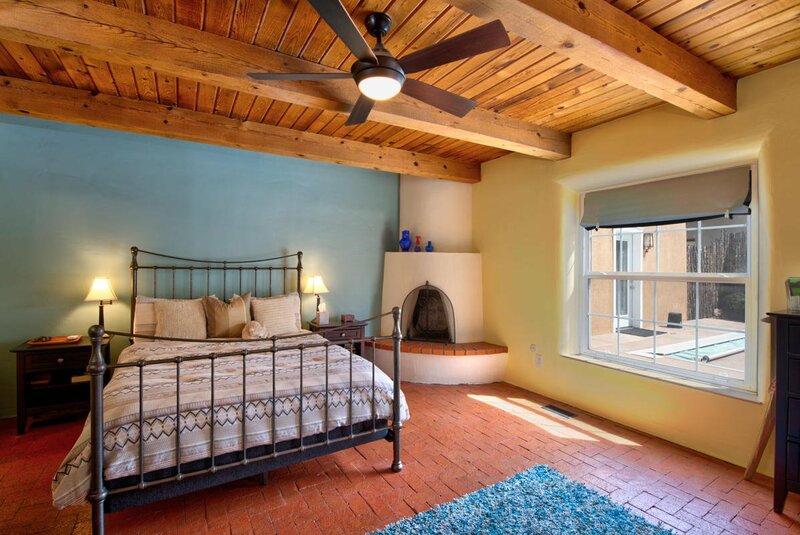 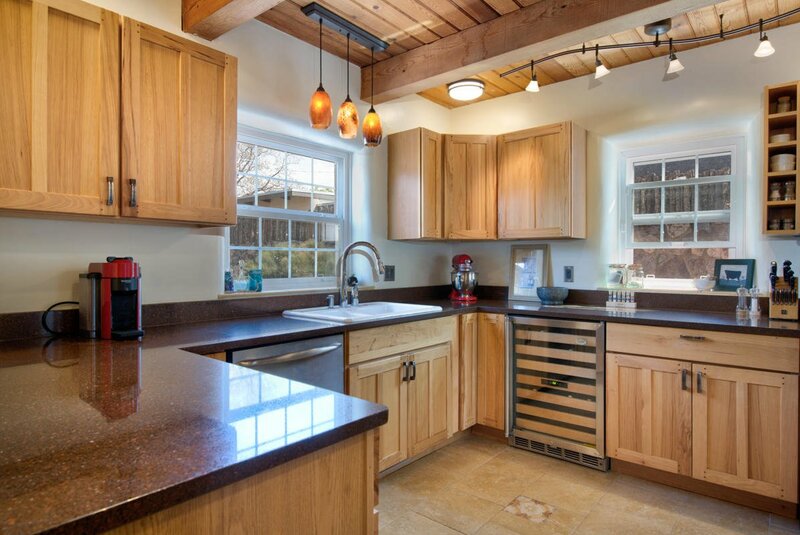 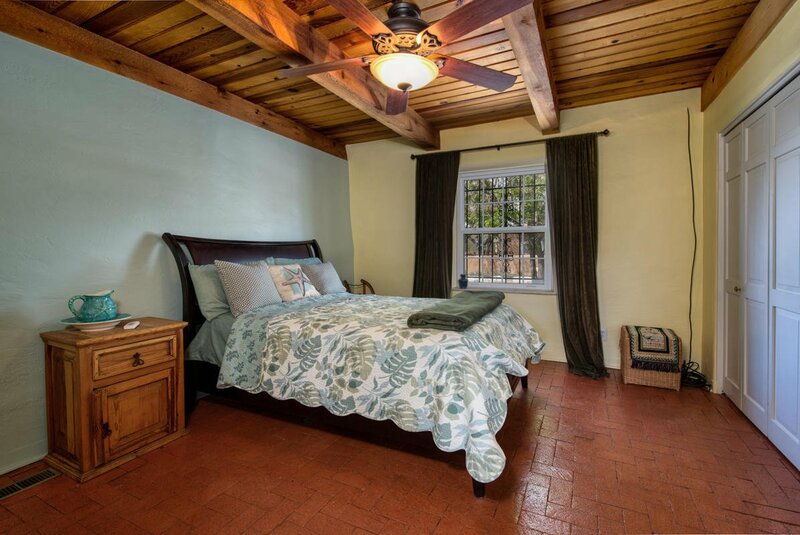 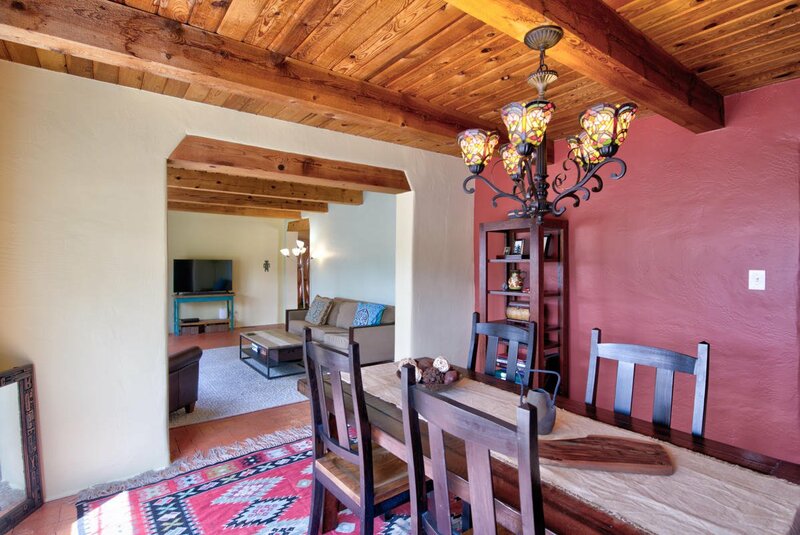 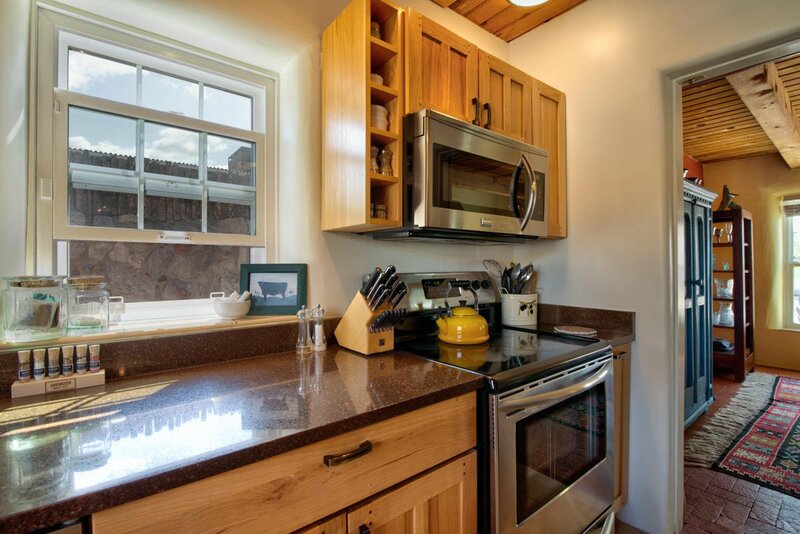 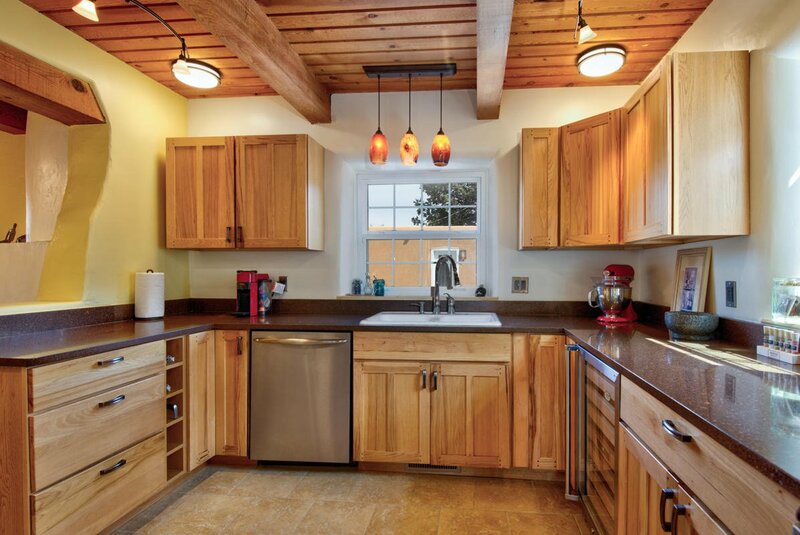 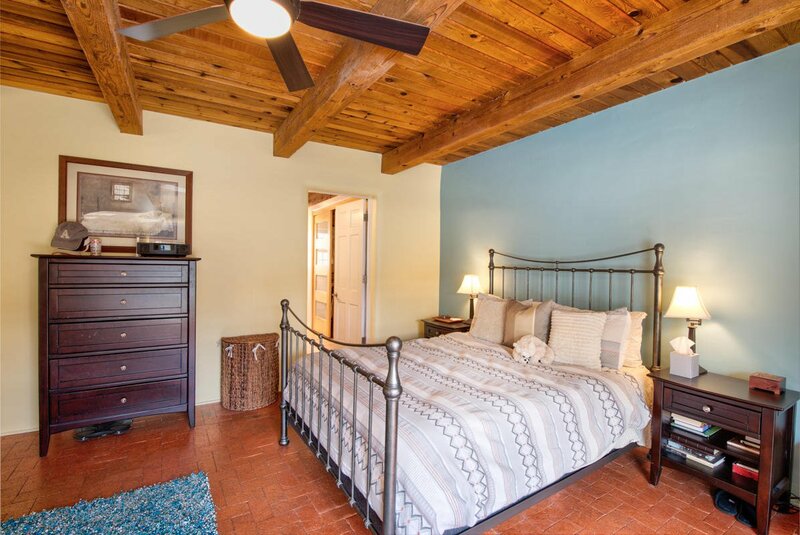 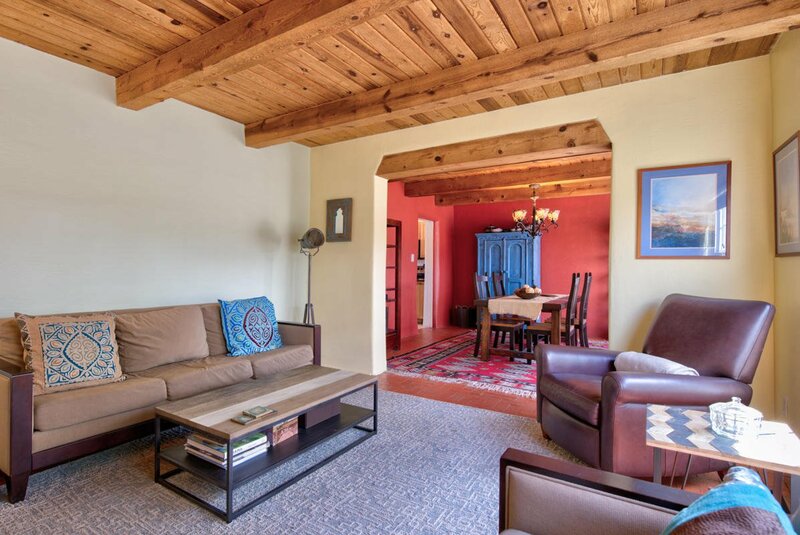 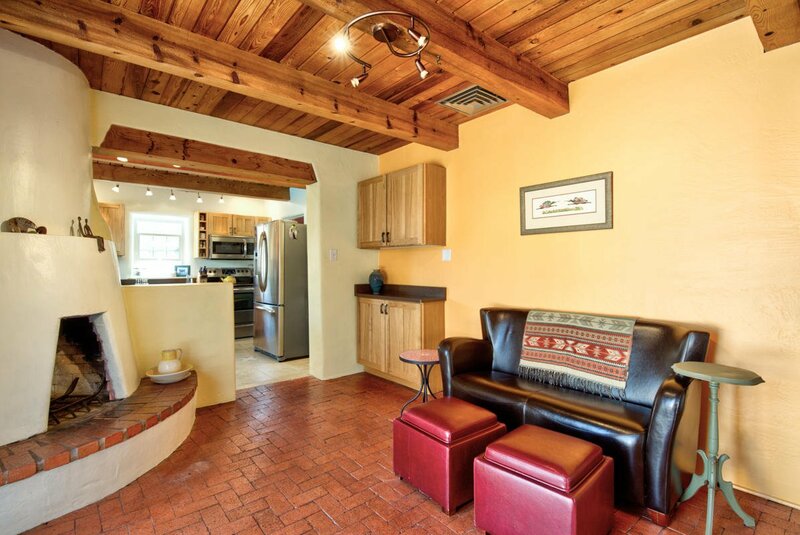 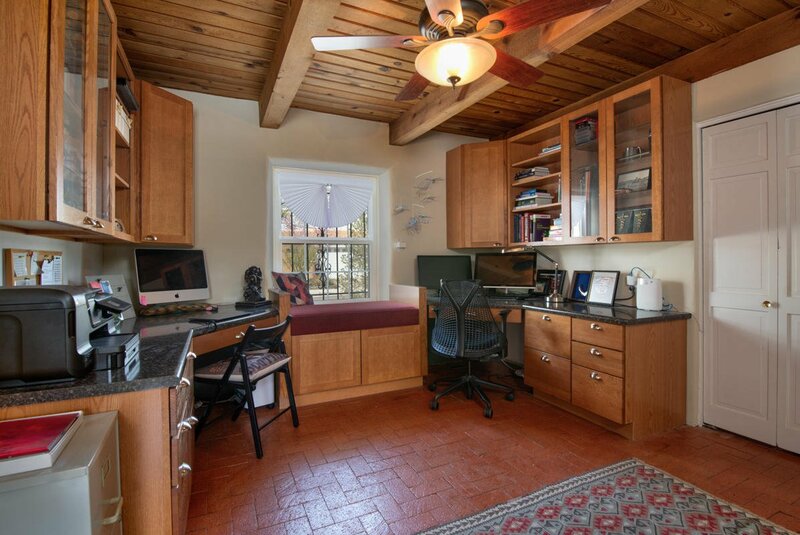 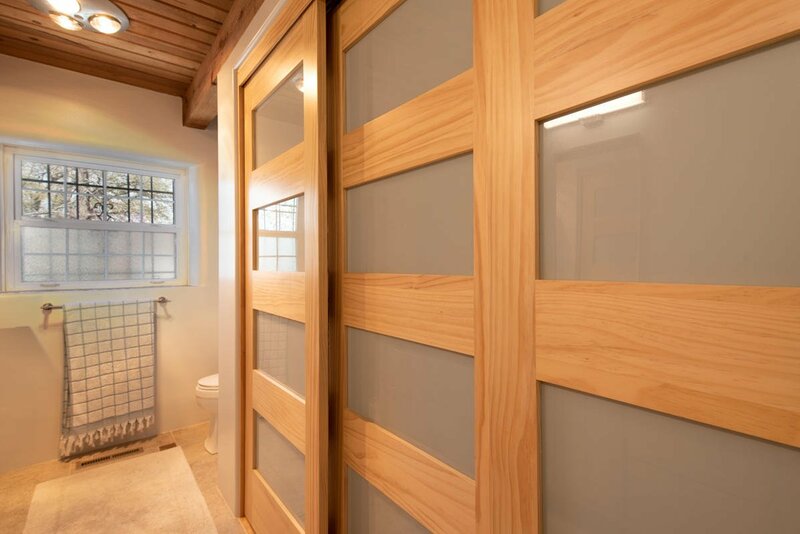 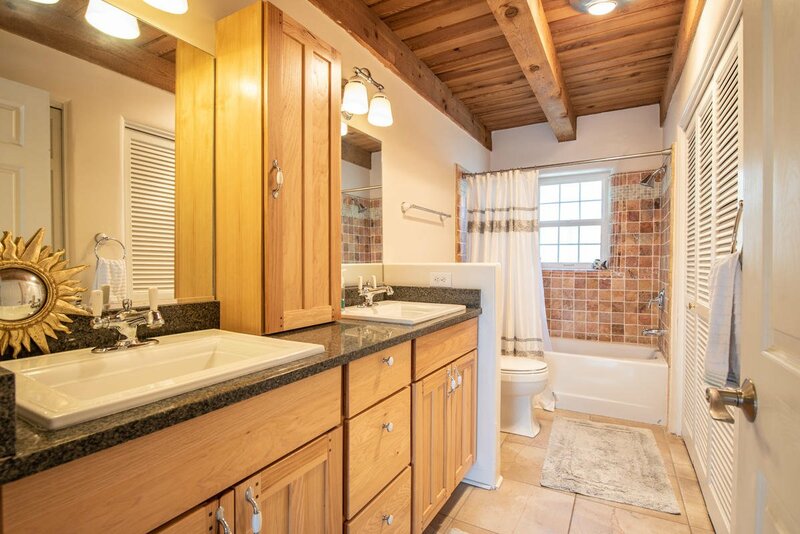 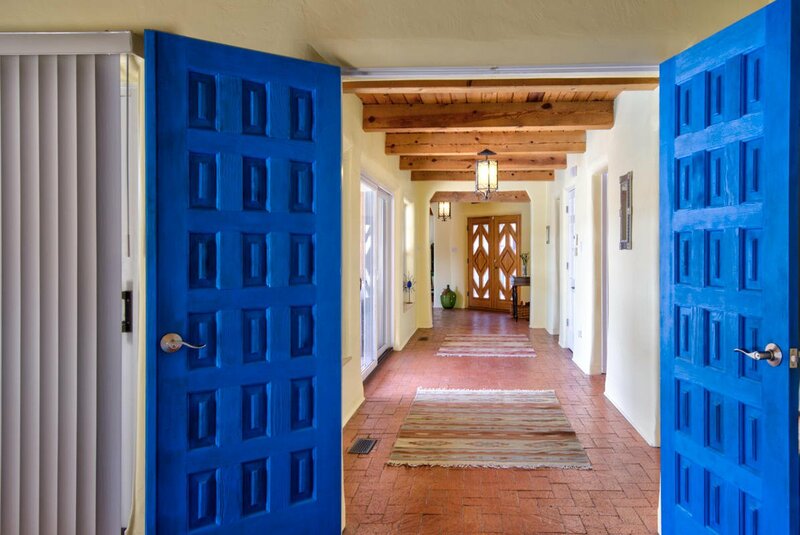 This enchanting home will embrace you with it's modern yet rustic pueblo style. 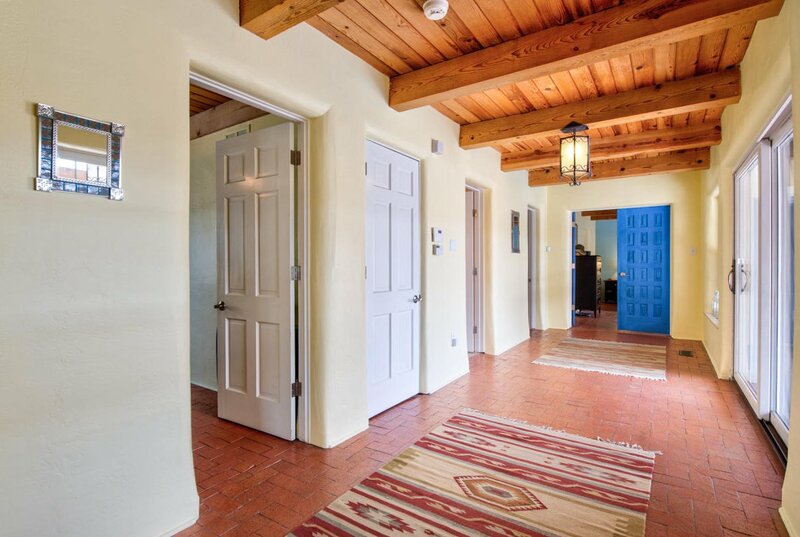 Features include: full adobe construction, 2 private courtyards, expansive entrance, 2 living areas, office with built in shelves and bunco seat, brick floors, tongue & groove ceilings, 3 kiva fireplaces, upgraded kitchen with granite, stainless appliances & wine fridge, remodeled baths showcasing natural stone & glass tile, detached casita with walk in closet & bathroom, private back courtyard showcasing inground exercise pool, hot tub, oversized covered patio, separate garden area and a 2 car oversized garage. 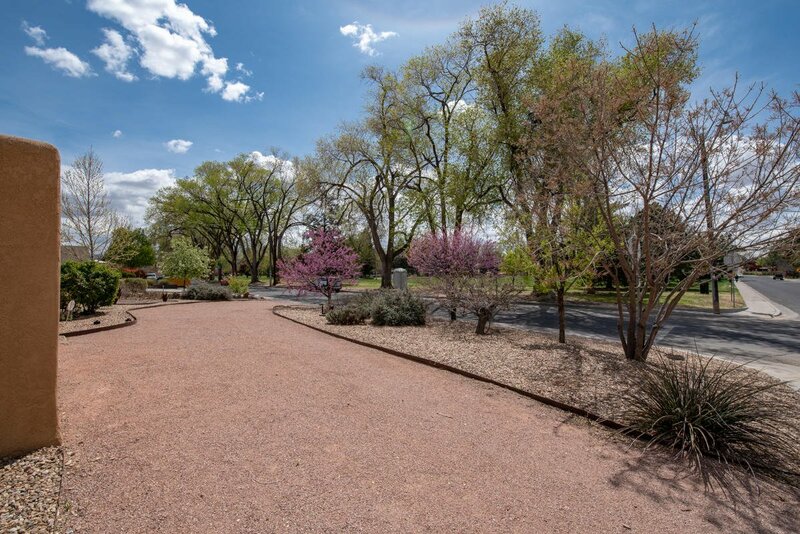 Don't miss the opportunity to see this one of a kind, corner lot property located directly on Altura Park!